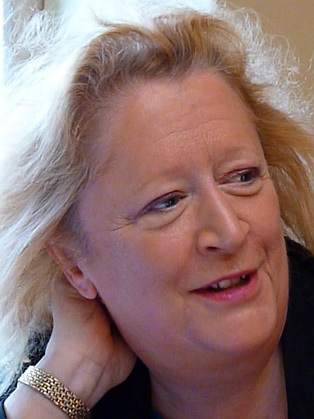 Dr. Margaret Heffernan produced programmes for the BBC for 13 years. She then moved to the US where she spearheaded multimedia productions for Intuit, The Learning Company and Standard&Poors. She was Chief Executive of InfoMation Corporation, ZineZone Corporation and then iCast Corporation, was named one of the “Top 25” by Streaming Media magazine and one of the “Top 100 Media Executives” by The Hollywood Reporter. The author of five books, Margaret’s third book, Willful Blindness : Why We Ignore the Obvious at our Peril was named one of the most important business books of the decade by the Financial Times. In 2015, she was awarded the Transmission Prize for A Bigger Prize: Why Competition isn’t Everything and How We Do Better, described as “meticulously researched…engagingly written…universally relevant and hard to fault.” Her TED talks have been seen by over seven million people and in 2015 TED published Beyond Measure: The Big Impact of Small Changes. She is Lead Faculty for the Forward Institute’s Responsible Leadership Programme and, through Merryck & Co., mentors CEOs and senior executives of major global organizations. She holds an honorary doctorate from the University of Bath and continues to write for the Financial Times, the New York Observer and the Huffington Post. In Feburary 2018, Margaret published an article in the Financial Times on workplace harrassment.